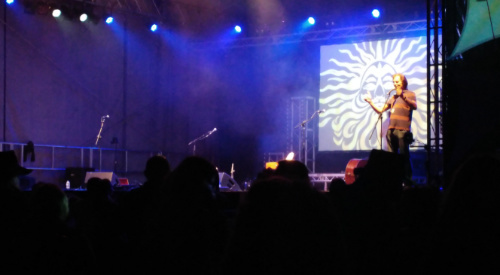 Here I am closing the Sunset Stage at Folk East in my role as MC. 19 August 2018. 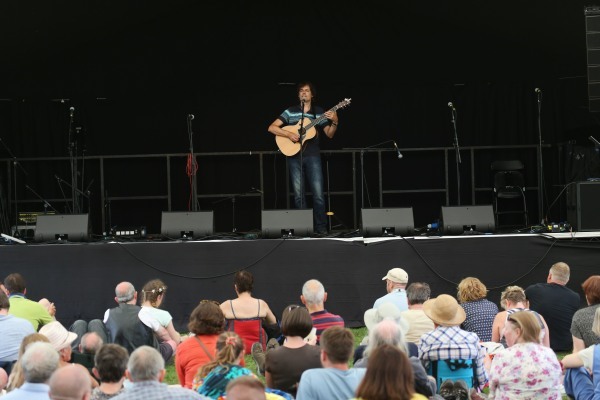 Here I am performing at the wonderful Folk East festival in Suffolk on 20 August 2017. 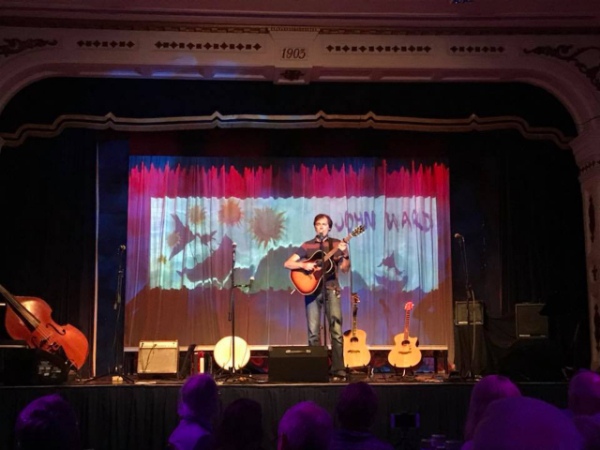 I had a great 4 days at Broadstairs Folk Festival performing in various venues, running a folk club event and being the MC for a theatre concert. 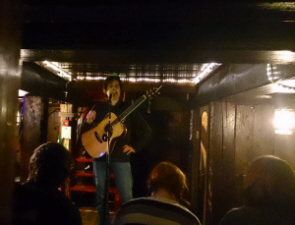 Here I am playing in the Dickens Theatre on Saturday evening and the following morning a very different gig in the Old Curiosity Shop. 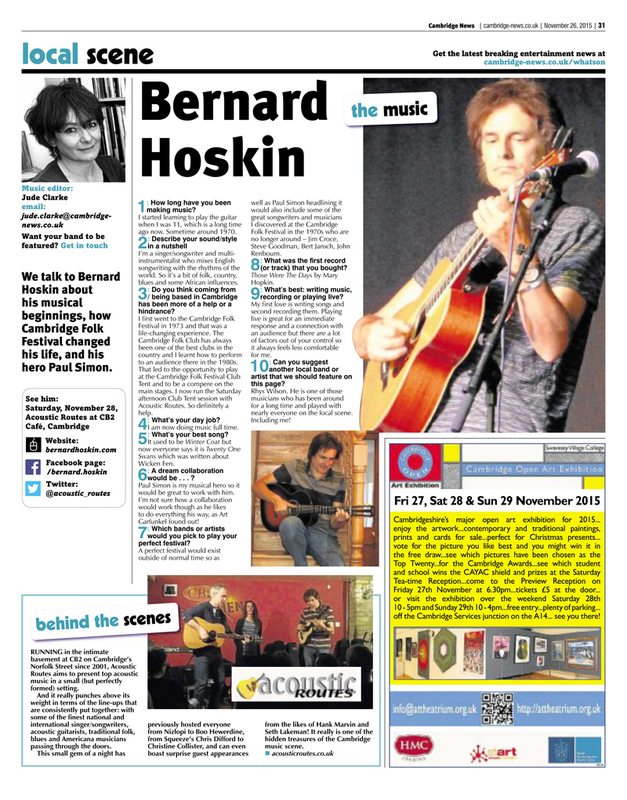 Thank you very much to all the people who came to see me at these gigs and to all those who bought cds. You can buy individual tracks or a whole album for just £8. 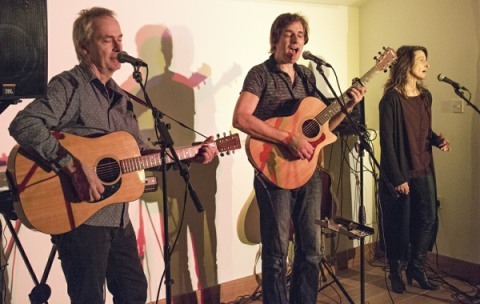 Here's Crooked Tree doing a charity gig at Gravelly Barn, Jan 2017. 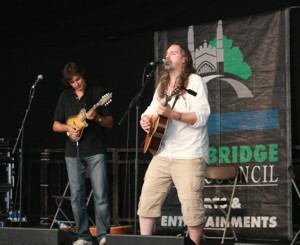 Rhys Wilson on guitar and Bronwyn Ormsby on vocals. These songs represent most of my current live set. 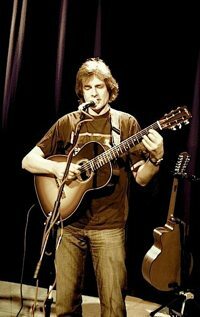 My ­intention in doing new ­recordings of these ­previously released songs was not only to do a “best of” ­collection but also to capture the feel of a live ­performance with the sound ­quality of a studio recording. The songs have been stripped back to just voice and guitar with the only addition being a bass on a few tracks. You can listen to it on the Albums page. CDs now available. 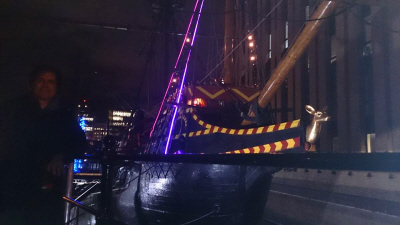 On Friday Dec 4 I had an unusual gig playing at The Tiller Flat folk club below deck on the replica of Sir Francis Drake's ship The Golden Hind which is moored on the Thames in central London. It was a great night. 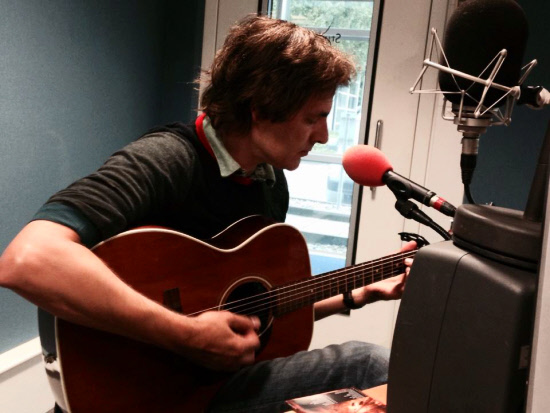 Here I am playing live at the BBC Cambs studio on Sue Marchant's Big Night In on 14 June 2015. We had a chat about the new album Journeys, Twenty One Swans and Sally In The Long Grass were played off the cd and I performed Believe live. Always a pleasure to work with Sue. 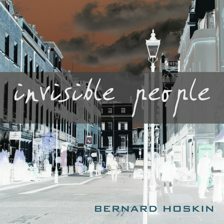 A remixed version of the Invisible People album is now available to listen to on the albums page. 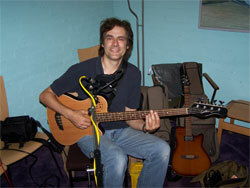 The main change is that the album now features the vocals of the excellent Bronwyn Ormsby. 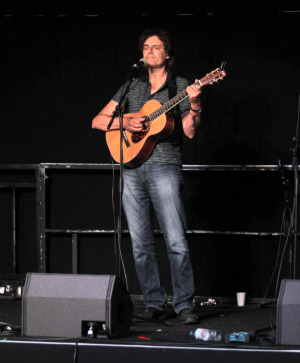 At the 50th Cambridge Folk Festival, 2 August 2014. 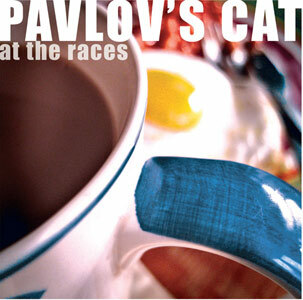 Here's The Guardian review of the Pavlov's Cat album "At The Races". 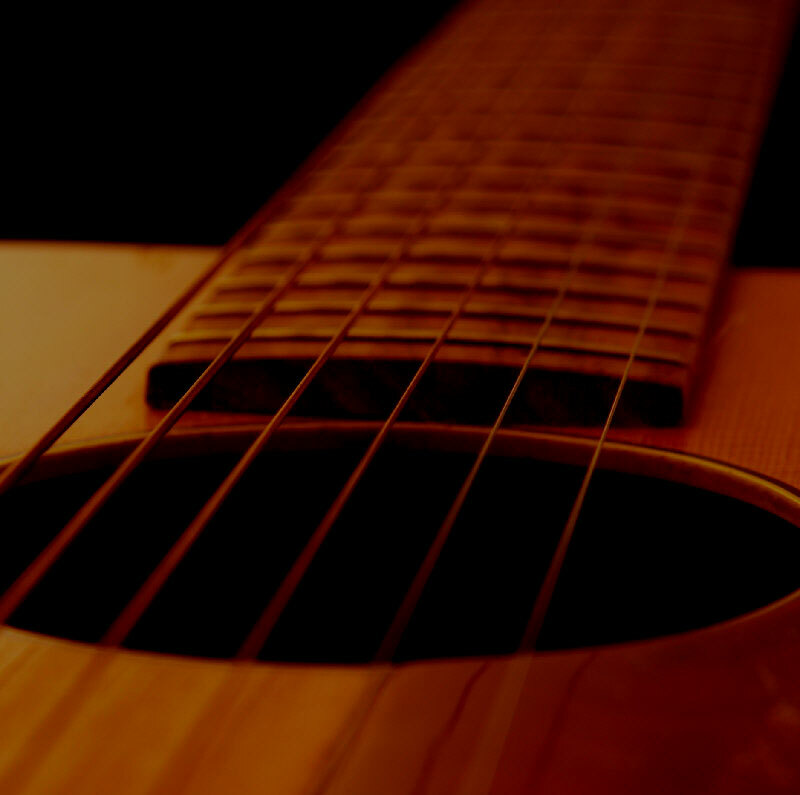 I played acoustic bass, fretless electric bass, acoustic guitar, electric guitar, mandolin and violin on the album. 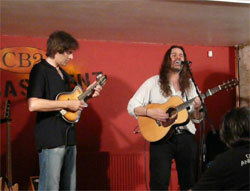 Acousticity in Colchester on 16 Oct 2010. Also joining in at the last minute is Darren Tansley on Cajon. 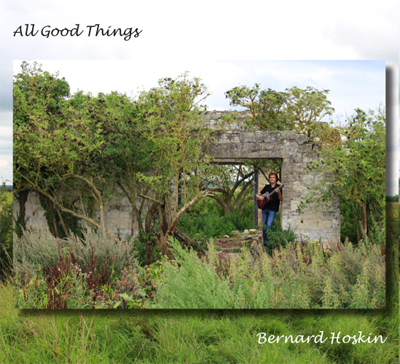 Having been available for online listening since May last year the album is now available as a cd. 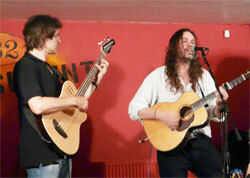 A couple of photos by Iris Brandstatter of the March gig at Acousticity in Colchester. 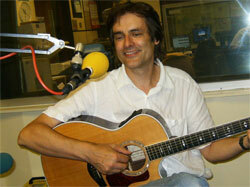 Recording a Pavlov's Cat session at BBC Radio Suffolk to be broadcast on the Stephen Foster show in Sept 2009. The new album, Invisible People, is now finished. You can listen to all the tracks on the Albums page. 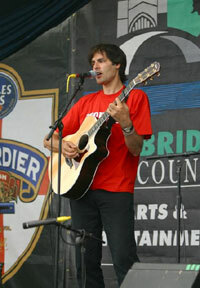 It was a busy festival for me in 2008. 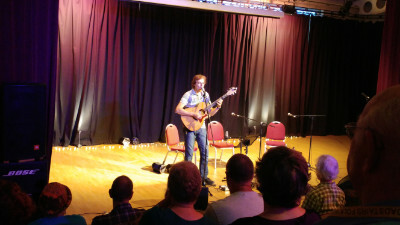 On Thursday I did a live interview and performance on 12 string guitar from the festival site for the Sue Marchant show on BBC regional radio. 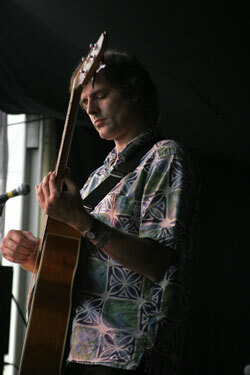 On Saturday I ran the Acoustic Routes session in the Club Tent. 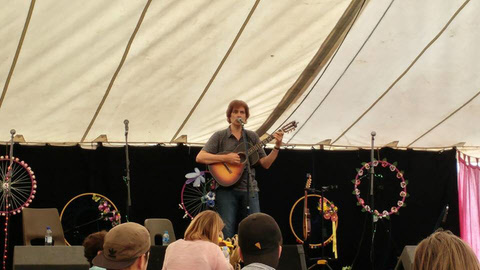 One of the acts booked by the festival cancelled at 5 minutes notice so I had to fill in by playing a short solo set on the mandolin. 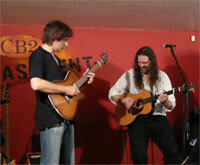 Later I played acoustic bass with both The Mannish Boys and Pavlov's Cat. 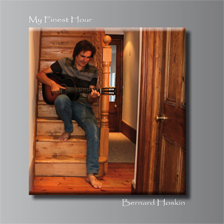 My 1988 album Home Town has been remastered and is now available on cd for the first time. 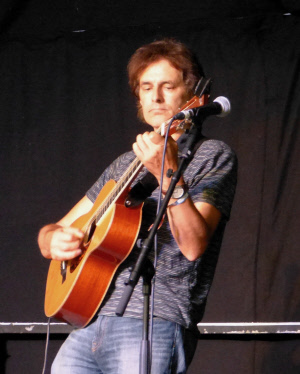 On Tuesday 4 Sept I was Sue Marchant's studio guest on her BBC Eastern Counties Radio show. She played 2 tracks from the new cd and I performed one song live. 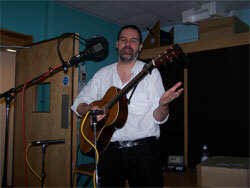 On Sunday 9 Sept I performed live on Cambridge 209 Radio as a guest of Nik Shelton. 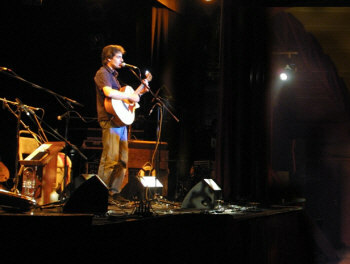 On stage at the Pavilion Theatre in Cromer opening up the Folk on the Pier Festival in May 2005. The new album is finally here. It's taken a lot longer than I thought it would but I think it was worth it. 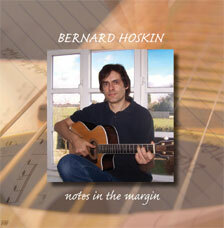 It's called "Notes In The Margin" and features 16 new songs with backing vocals from Lisa Fitzgibbon and Liz Simcock. Papa Sam makes another appearance on one of my albums playing djembe and percussion as well as singing on a couple of tracks. There are samples on the albums page. 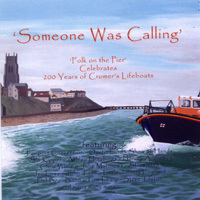 My track "Beneath The Waves" is included on a charity CD alongside some of the big names from the folk world to raise money for Cromer Lifeboat. 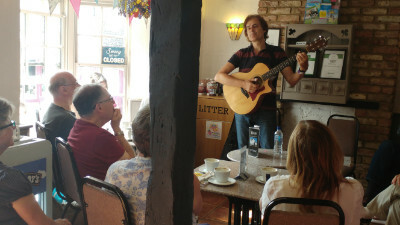 The two disc set entitled "Someone Was Calling" features music and songs from artists who have appeared at Cromer’s Folk on the Pier festival over the last five years. There are tracks by Fairport Convention, Show of Hands, Oysterband, Harvey Andrews, Jez Lowe, Phil Beer, Ashley Hutchings, John Tams, Chris While and Julie Matthews, Bob Fox, Edward II, Little Johnny England and many more. For further information go to Deckchair Productions. 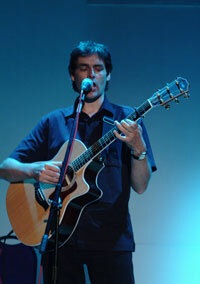 The Vladimir Visotsky track, "Paradise Apples", from the "Days Yet To Come" album has been included on a CD release by the Vladimir Visotsky State Center in Russia. 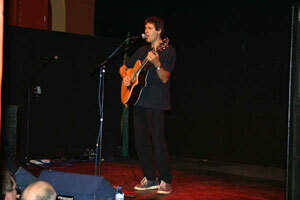 It is a compilation of his songs performed in all major European languages by different artists. At an international conference on Visotsky in Moscow, November 2000, my collaboration with George Tokarev was named as the best track on the album. The Vladimir Vysotsky Museum in Poland have requested two copies of the Days Yet To Come album which includes "Paradise Apples" by Vysotsky. 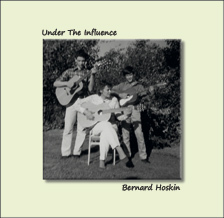 The CDs will be available for visitors to listen to. 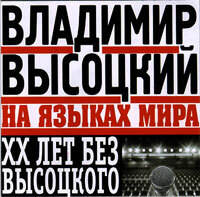 Vladimir Visotsky and the cover of the CD. 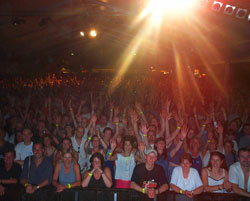 The Cambridge Folk Festival audience pose for a photo! 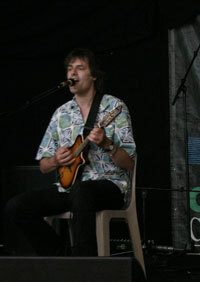 Taken when compering on main stage one. 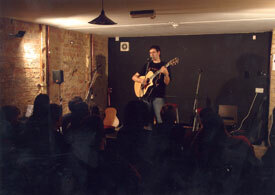 Playing at Acoustic Routes, Cambridge. 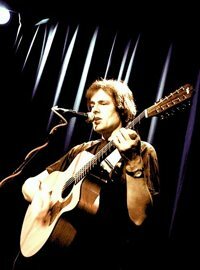 I have been running this series of gigs since I started it in 2001.